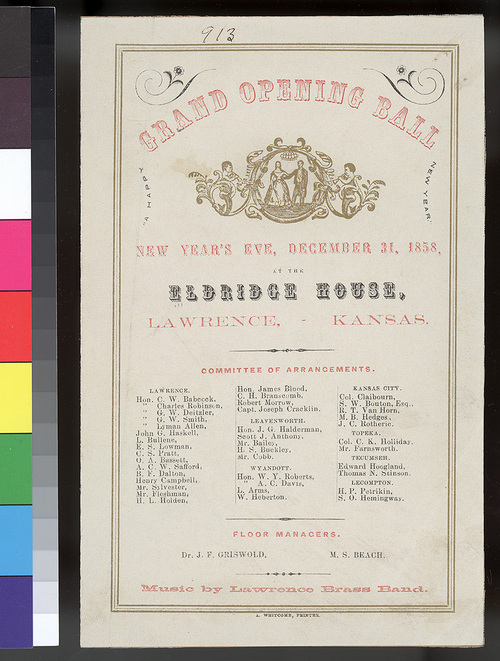 This announcement advertises a Grand Opening Ball to be held at the Eldridge House in Lawrence, Kansas Territory, on December 31, 1858. Music was to be performed by the Lawrence Brass Band. Members of the Committee of Arrangements, organized by town name, and the two floor managers are identified.